From Loose Screws to Missed Cues, This Team Shows Up! The Loose Screws have been running into trouble since before the first Market to Market Relay in 2008, and have made sure to bring that trouble with them every year since. The team name comes from their motto: If it’s broke, screw it! Prior to the inaugural race, one of the founding members severely injured his ankle, which required surgery, the placement of a plate, and several screws to secure the broken bones. 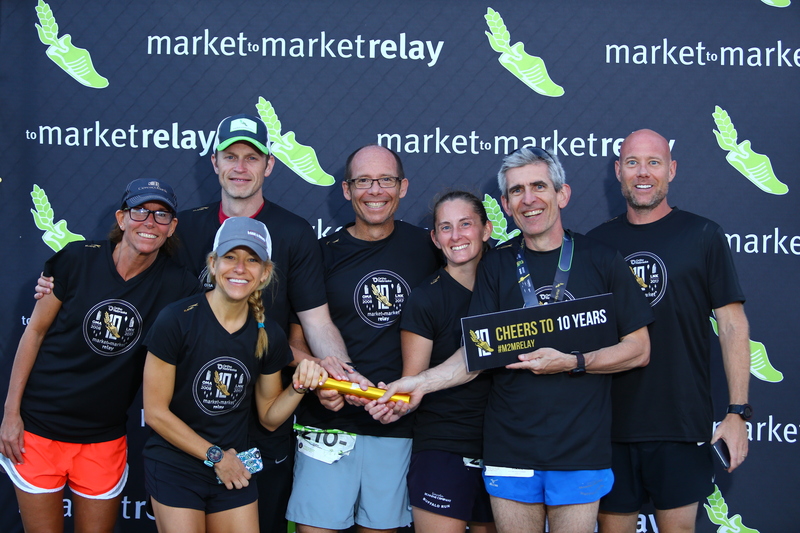 Despite the setback and additional setbacks as the screws came loose, he rehabilitated and whipped the rest of himself back into shape before the first annual Market to Market Relay. Several of the members of the group have been running together for as many as 15 years. A casual running group from Lincoln, they run hard, but always have a good time. That’s what Market to Market is all about. Enjoying a challenge, while bonding with your team and creating lasting memories. Mark Patton has fond memories of each of the 10 Market to Market Relays he has run with the Loose Screws. This year’s screwy hijinks included nearly missing a leg. And that’s what keeps Mark returning year after year: the camaraderie, competition, and community.